It was thought that ophiuroids of the genus Ophiothela are confined to Pacific waters (Clark 1976). However, animals provisionally identified as Ophiothela mirabilis have founded emergent populations in the Atlantic. 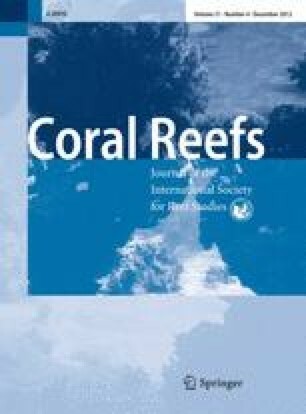 Further expansion of the range of Ophiothela could alter the appearance and the ecology of Atlantic coral reef habitats because ophiothelas, in multitudes, densely colonize gorgonians and sponges on Indo-West central Pacific and on tropical eastern Pacific reefs. In 2000, O. mirabilis was first observed in Brazil off Ilha do Pai, Rio de Janeiro. It was seen ~1,200 km to the northeast off Farol da Barra, Bahia, in 2004, and ~600 km to the southwest at Ilha do Mel, Paraná, in 2009, and has been repeatedly collected from São Paulo to Espírito Santo. In late 2011, it was discovered near Camden Park Bay, St. Vincent, Lesser Antilles, and as of June 2012 occurs at several more Vincentian sites. Its presence near Brazilian and Caribbean ports ~4,500 km apart indicates that O. mirabilis could have been spread by shipping. O. mirabilis from the Eastern Pacific is variably colored, but nearly all Atlantic animals are yellow-orange, suggesting they belong to a single lineage (Fig. 1). Proliferation of the small, 6-armed species is enhanced by its capacity for fissiparous, asexual reproduction, a process producing cloned progeny with regenerating arms (Fig. 1a, d). Low host specificity of O. mirabilis (already associated with at least 20 Atlantic host species) may also help it colonize new territory (Fig. 1b–d). 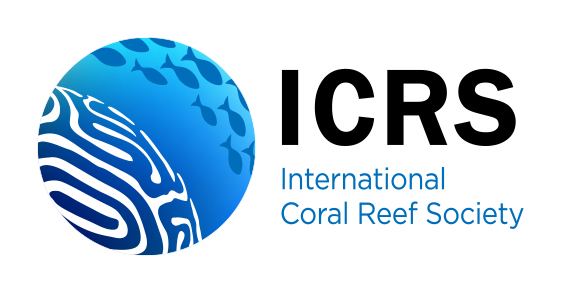 Unfortunately, too little is known of the species’ biology to predict its potential impact on Atlantic reef communities. Sexual reproduction, larval and post-larval dispersal, feeding habits, environmental requirements, and interactions of Ophiothela species with their hosts, predators, and parasites have not been studied. 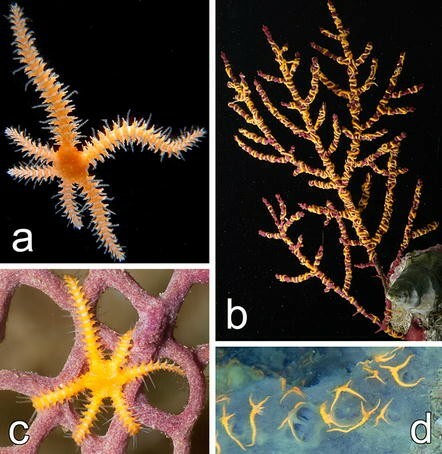 Taxonomy and identification of ophiothelas is complicated by the morphological plasticity of their regenerating structures. A molecular phylogenetic analysis of the 10 named species of 6-armed Ophiothela is required to establish whether they comprise one species (as suggested by Clark 1976) and possibly identify the source of colonization. We are grateful to Ray Haberman for photographs and information on Vincentian Ophiothela, Raymond Ryan (Chief Fisheries Officer, St. Vincent) for governmental assistance, Any Wilk for field observations, Stephen Cairns and Odalisca Breedy for gorgonian identifications, David Pawson and the late Cynthia Ahearn for loan of specimens, and Harilaos Lessios for reviewing a draft manuscript.